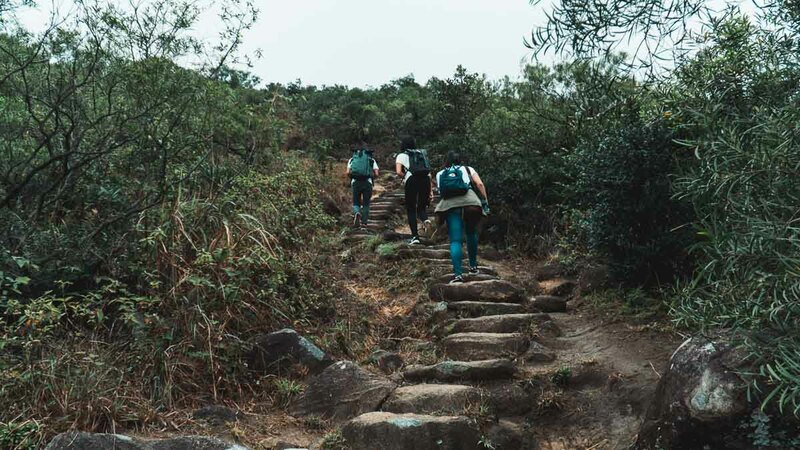 Explore Hong Kong a little differently from the usual eat, shop, repeat — hike up to epic viewpoints, take a day trip out to explore far out islands or join a pub crawl! If that doesn’t sound like the Hong Kong you’re used to, you’re in for a treat! 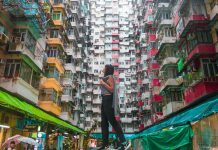 Hong Kong’s not quite the concrete jungle you think you really know of. 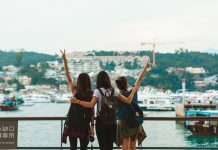 There’s no denying of its extensive food culture, neon-lit street and bustling night markets, but strip off the tourist lens and you’ll realise where the locals flock to instead. The undiscerning eye would gloss past the secluded hiking trails scattered around (ominous-sounding Suicide Cliff, anyone?) that boast some amazing viewpoints. 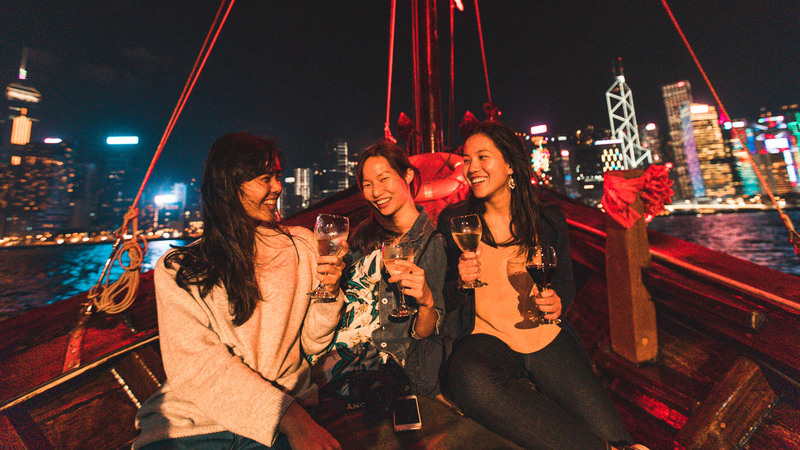 The bustling city also reveals an intimate charm in the fishing village of Sai Kung, and I never knew you could feel atas sipping wine while cruising on a Chinese junk ship along the skyline. With this seven-day Hong Kong itinerary, here’s the best mix of local-flavoured activities with the must-dos. Connectivity: Eight-day SIM Card (~S$9.50) with unlimited 3G data, pre-booked and collected from the airport. Transport: From the airport, Hong Kong station is a 30-minute ride on the Airport Express. 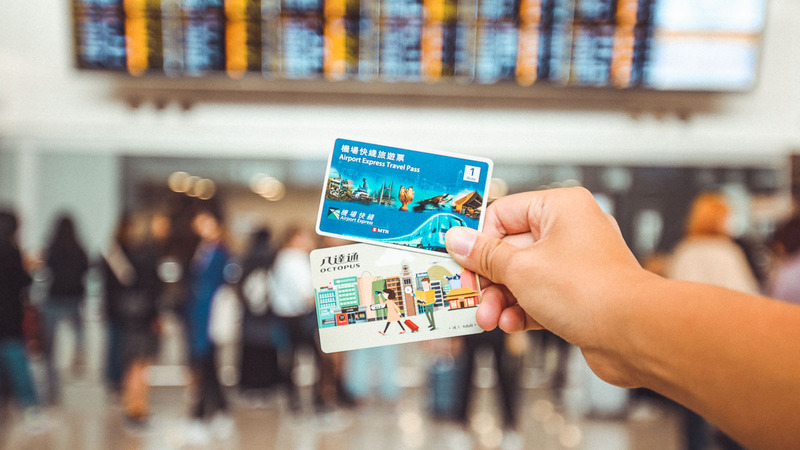 We got the Airport Express and 72-Hr Train bundle Pass which comprises of two cards — one single trip ride on the Airport Express and a separate MTR train pass for unlimited rides over three days. For the remaining four days, we used the reloadable Octopus Card (~S$16, comes preloaded with HK$50 credit). Cash on hand: Most local restaurants and establishments prefer cash over credit. 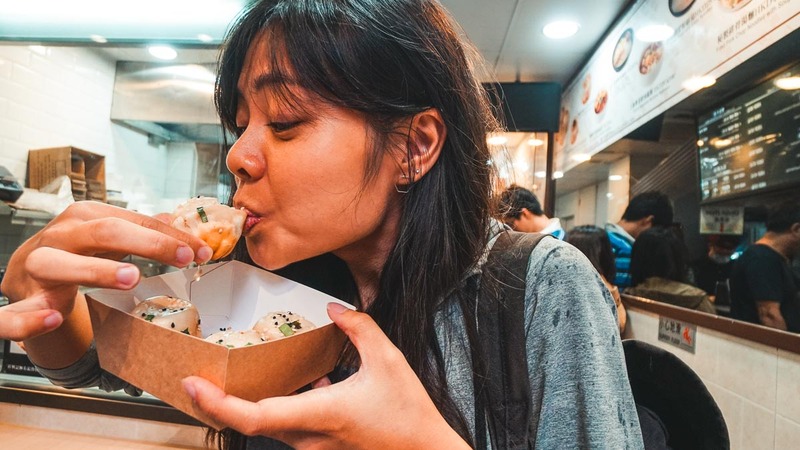 Sink your teeth in some dim sum, and the fact that yes, you are indeed in Hong Kong, no doubt characterised by the sounds of clinking tea cups and crowd chatter. You must order the Tim Ho Wan-esque fried BBQ pork and salted egg buns. Photographers, get a good shot of this. 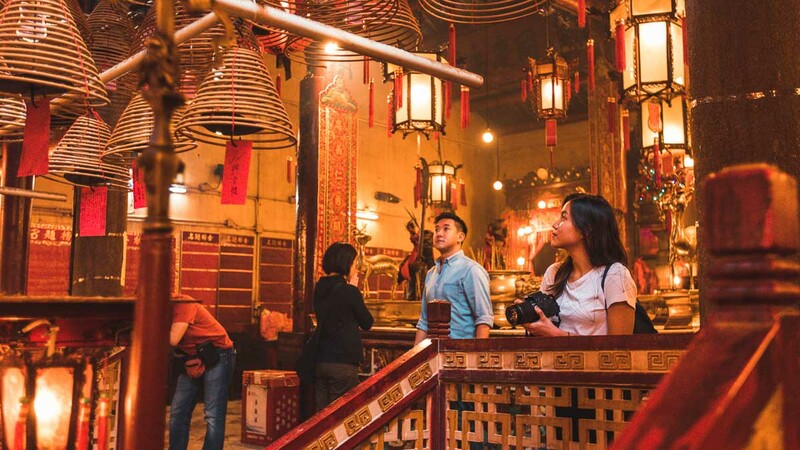 With rows upon rows of incense hanging by the entrance, the Man Mo Temple sticks out in the midst of the financial district, famous for being often-visited by ancient scholars who pray for good results in the Imperial Examinations. 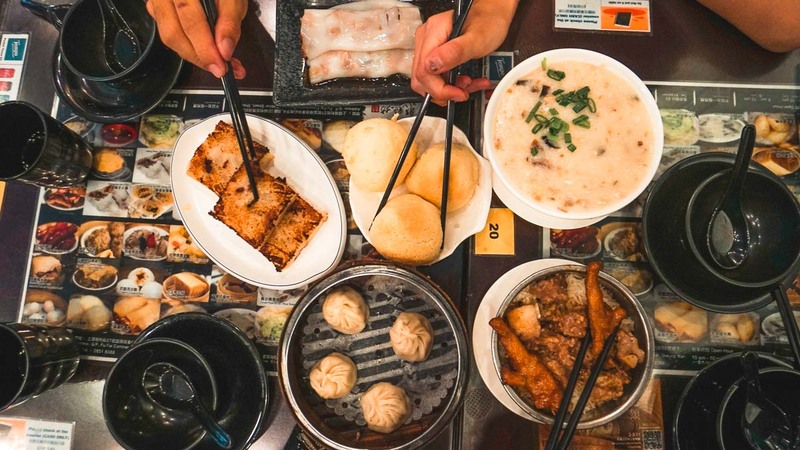 If you’re a fan of xiao long bao (soup dumplings), try the Shanghai variant at Cheung Hing Kee — the best in the city. It certainly lives up to its Michelin Guide listing with a crispy exterior bursting with soup inside. One of Hong Kong’s most popular attractions, you must give the famous tram ride to Victoria Peak a shot. 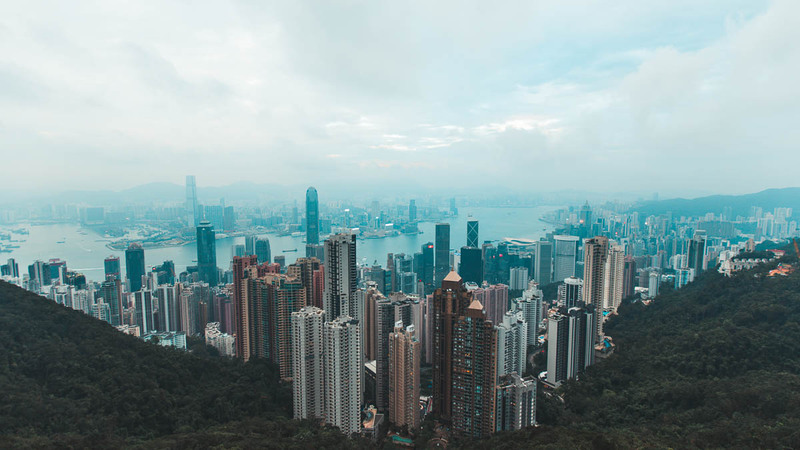 The 8-minute tram up leads you to the Sky Terrace 428 — the highest 360-degree viewing platform in Hong Kong overlooking the city. Layer up; it’s cold up there! 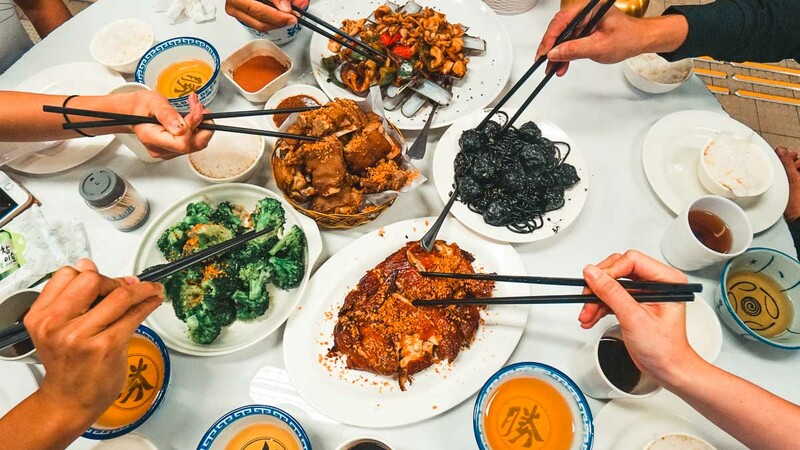 Dine with the locals at Tung Po restaraurant, stashed in the second level of a nondescript government building. Don’t be intimidated by the extensive menu of over 100 fresh seafood and cooked food options — try the Squid Ink Spaghetti (HK$148), Pork Knuckle (HK$118), Razor Clams on Bamboo (Seasonal price) and Wind Sand Chicken (HK$280), alongside local beer uniquely served in porcelain rice bowls. Stay past 9PM and you may be lucky enough to catch an 80s-themed musical performance staged by the owner himself. How to get there: From North Point MTR Station Exit A, head to the Java Road Sports Centre lift lobby, then take the lift on the right to the second floor. 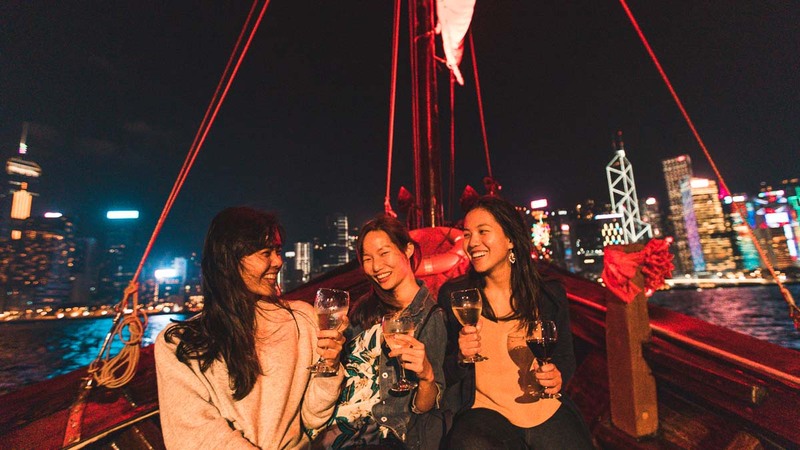 While most people admire the iconic Hong Kong skyline from the Causeway Bay Pier, take things up a notch on the Aqua Luna Evening Sail, a one-hour cruise on a traditional Chinese junk ship (with its famous red sails) departing from Tsim Sha Tsui and passing Central on a round trip. 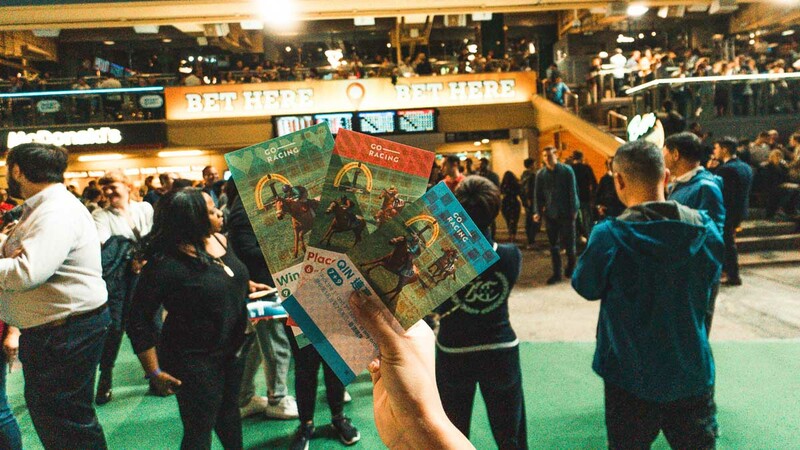 With jazz hip-hop music, lounge chairs on board, wind in our hair and complimentary wine, it’s a night of living it up and being affordably atas in the city. Meeting Point: Tsim Sha Tsui Public Pier 1 (better option for full tour experience), or Central Pier 9. 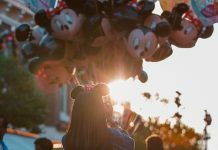 If you’ve visited Hong Kong Disneyland 10 years, 5 years or even a year back, you might want to revisit. With new-and-improved rides, shows, and upgrades, the park now has three new lands with Hong Kong-exclusive rides like the Mystic Manor (ghost-themed cart ride) and Iron Man experience (3D-motion simulator). 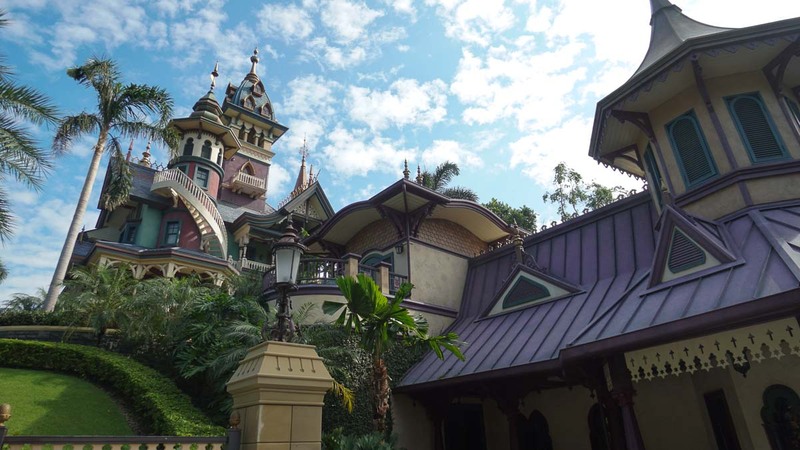 Mystic Manor — a new Hong Kong-exclusive ride! For a souvenir to remember your trip by, collect free stickers from any roaming/ride staff all over Disneyland (we collected more than 25 different stickers)! 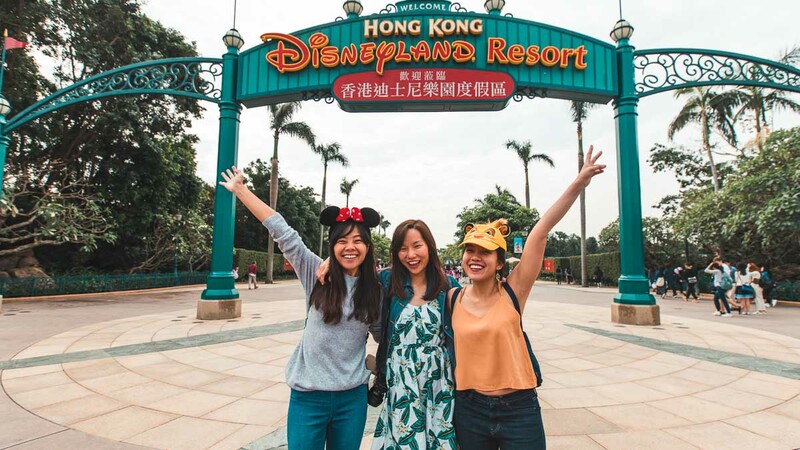 For more tips, must-dos and our very honest review of the park, check out our Hong Kong Disneyland Guide! After the Disneyland Parade at 8:30PM, Mei Wei Wa (美味佳) is a great place to munch — a no-frills, secret supper spot (opens till late!) that is frequented by university students, serving sinful, heavily-spiced grilled skewers. 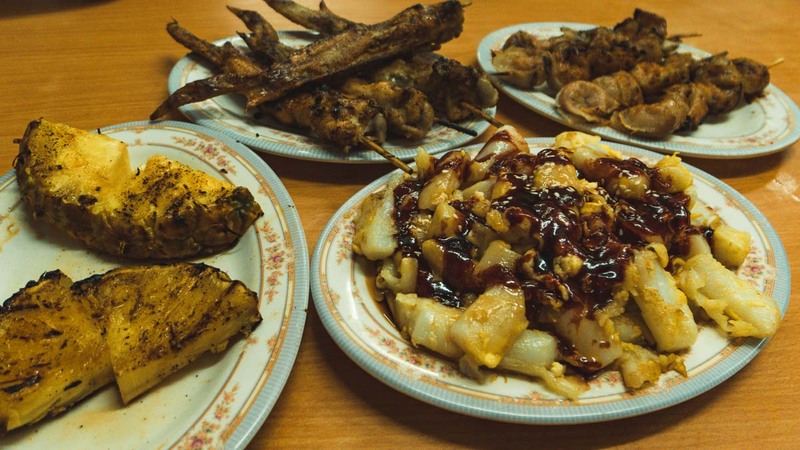 Local favourites include egg-mixed chee cheong fun (HK$13), grilled chicken wings (HK$26 each), leek (HK$9/stick) and grilled pineapple (HK$9). You can even BYOB and enjoy them alongside your food. 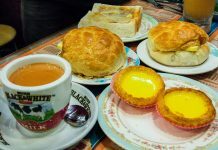 Start the day right at Hung Hom, a cha chaan teng (local teahouse) breakfast chain popular with the locals. 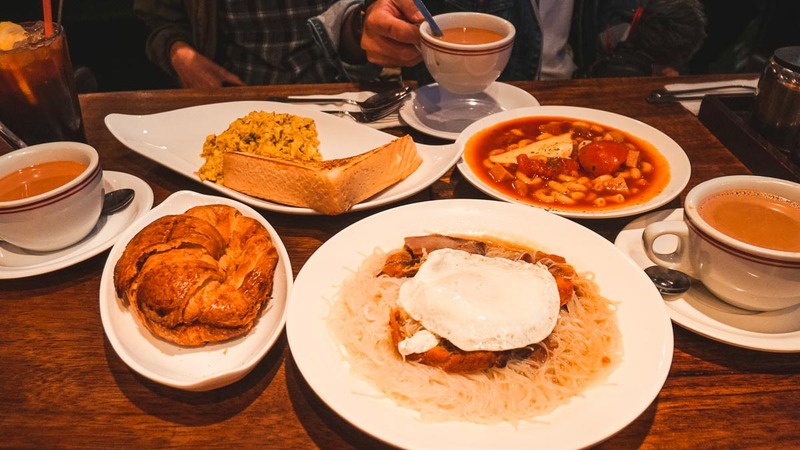 There are six breakfast sets to choose from (~$HK35), each comes with bread, eggs, a main (noodles/soup) and a drink, so you’re definitely fuelled to start your day. If you’re there for lunch or dinner (after 11:30AM), try their signature Swiss Chicken Wings in Instant Noodles (HK$50). 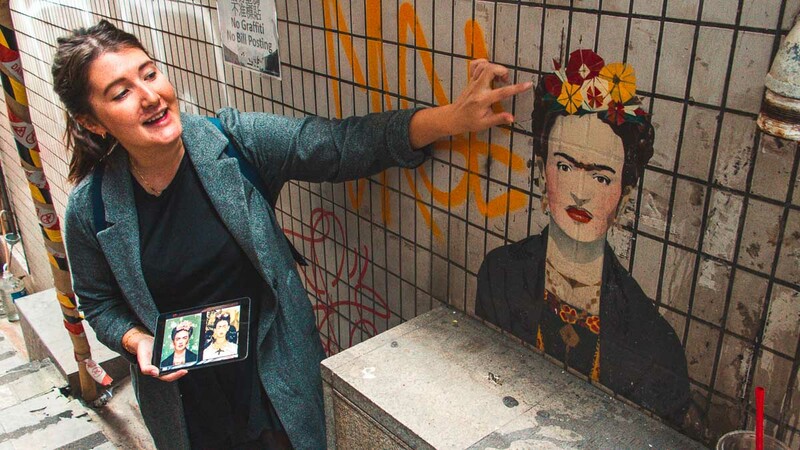 Explore Hong Kong’s creative side and hunt down street art by local and international artists around Central Station. Highlights include portraits of Audrey Hepburn and Charlie Chaplin in pop art style on the walls of Madera Hollywood Hotel, and the French-inspired painting outside Uma Nota. Many are quite cleverly hidden! 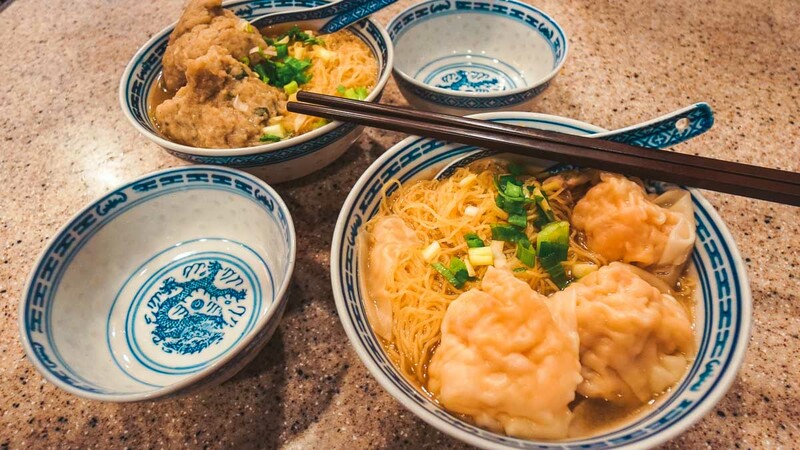 The quality ingredients at Tsim Chai Kee Noodle Shop‘s wanton noodles give Mak’s Noodles (just across the road) a run for their money. The Michelin Guide-lister gives you a choice of one to three toppings between shrimp wantons (each wanton has two shrimp! ), beef slices and gigantic fishballs stuffed with pork — like Fuzhou fishballs, but double the size. Those interested in a darker tourist experience will find the practice of villain hitting an interesting one. 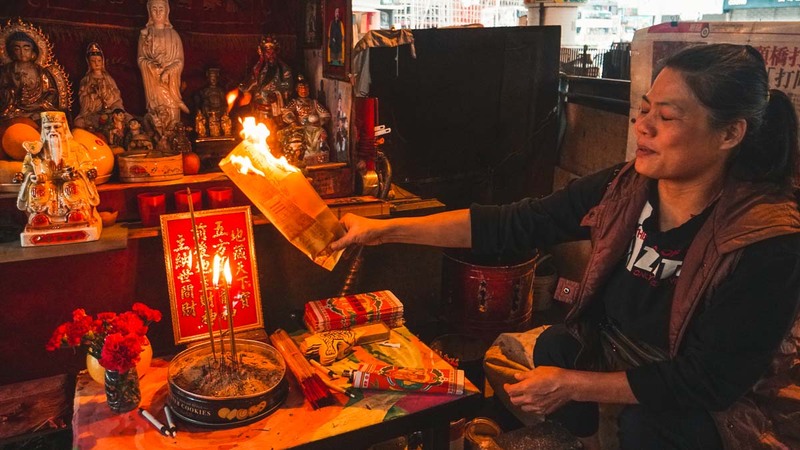 Watch elderly women sitting around small makeshift shrine set-ups under the bridge as they take on requests to help curse enemies or ward off evil. Write a name on a piece of paper and she’ll start smacking the paper with a shoe while chanting before burning it in the flames. The process ends when she blesses you and sends you on your way. Moral of the story: don’t offend anyone while you’re there. Yikes! How to get there: From Causeway Bay MTR (Exit A), go across the road from Hung Hom, walk to the Canal Road Flyover. Another Michelin Guide restaurant, Kwan Kee Claypot Rice‘s popularity is evident in the snaking lines outside the tiny shopfront, rain or shine. One taste and you’ll know why — the chicken and sausage bowls we had were smokey with plenty of extra crispy, charred bits at the bottom! Opening Hours: 11AM – 2:30PM (except Sunday), 6PM – 10:30PM. 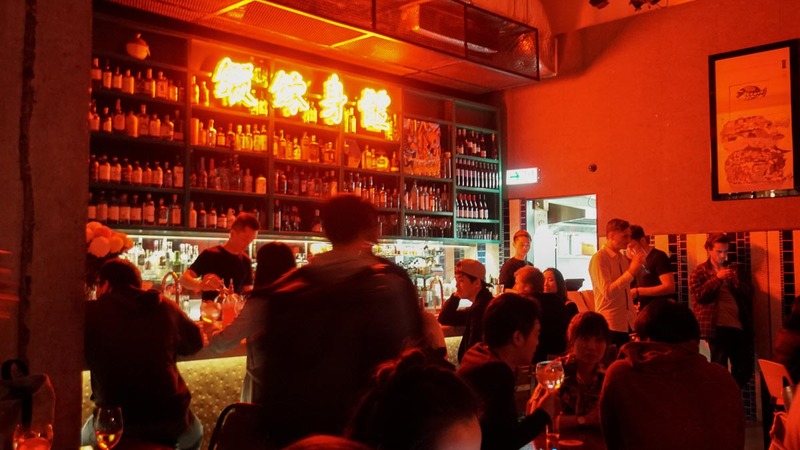 Hidden underground with an unassuming shop front, the space where the underground bar now sits used to be a ping pong hall before it was refurbished into a nightlife sanctuary where people come to unwind over drinks and live music. A little pricey, but worth the experience. 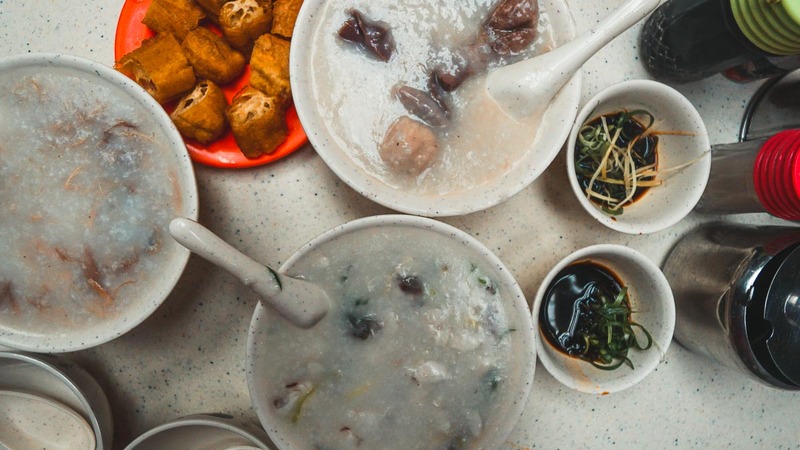 Fish, beef, pork or chicken, there’s a porridge for every taste at Sang Kee Congee Shop, served up steamy and quickly with lots of staff yelling orders across tables — true blue Hong Kong style. How about sitting on an almost-transparent cable car to Lantau Island? 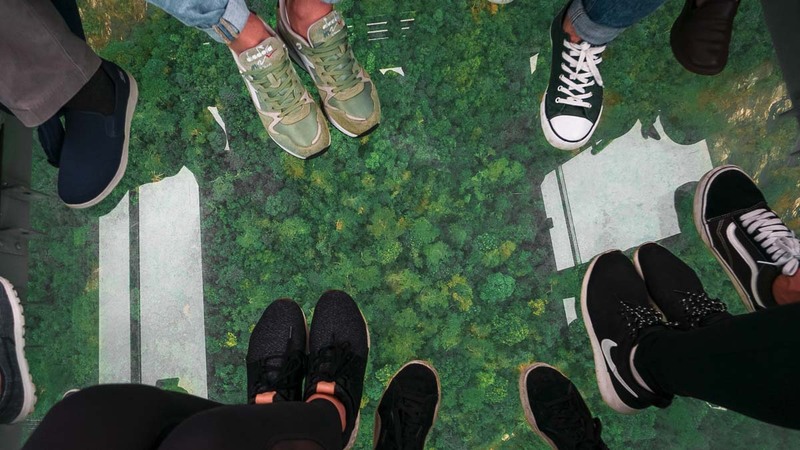 The NgongPing360 cable car sports a 360-degree view including a full glass bottom — maybe acrophobes might consider sitting this one out. Besides visiting the Tian Tan Buddha for a panoramic view of the city, we also did the Lantau Sunset Peak Hike from Pak Kung Au to Mui Wo. It’s a long but manageable hike, well-paved with large rocks that only get slightly steep and grassy towards the peak. After the hike, bus back to Mui Wo for a seafood dinner with a sea view at the Mui Wo Cooked Food Market. 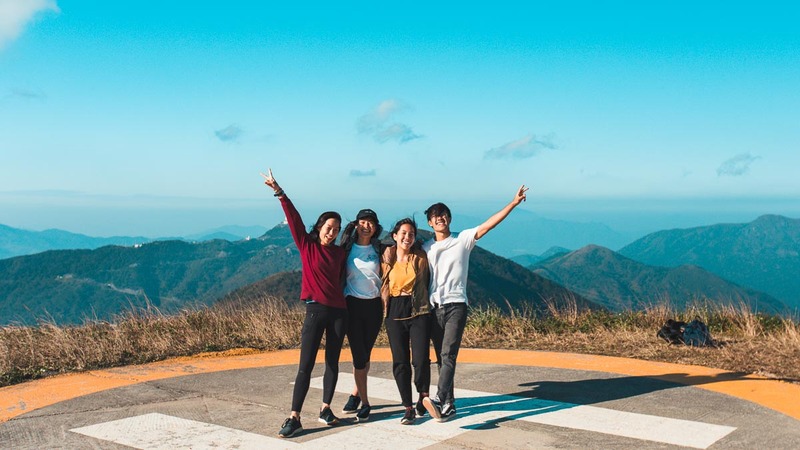 Alternatively, you could catch the sunrise on Lantau Sunrise Peak with a guided tour that starts early in the morning instead. 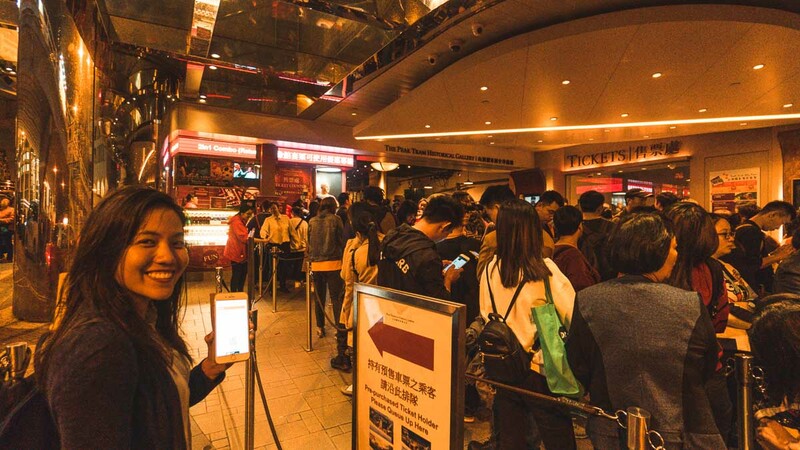 *Pro-tip: Pre-book your tickets on Klook for discounted tickets (~S$32 for Crystal Cabin) & Klook-exclusive queues which are much shorter than the general queues. 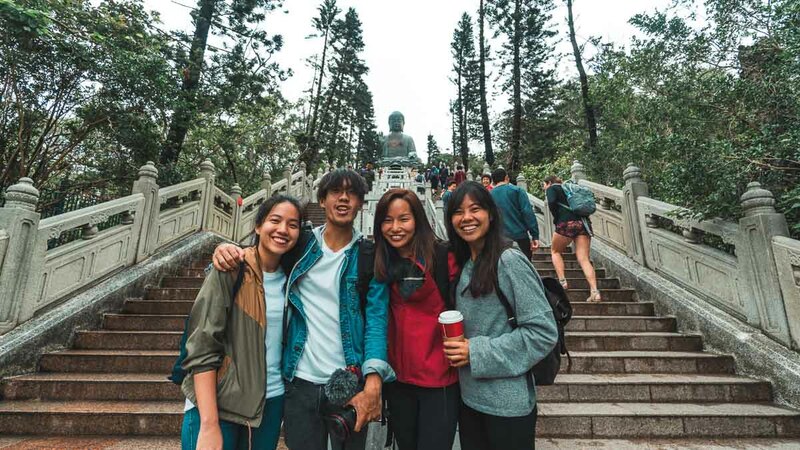 How to get there: From Ngong Ping, take bus 23 and alight at Pak Kung Au. 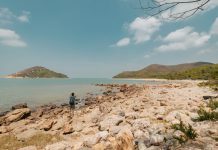 The hike ends in Mui Wo, but you can save 3km on foot by ending the hike at Nam Shan and taking bus 1 or 3M to Mui Wo Ferry Pier. A fishing village in the north eastern side of Hong Kong, Sai Kung is often overlooked by tourists. 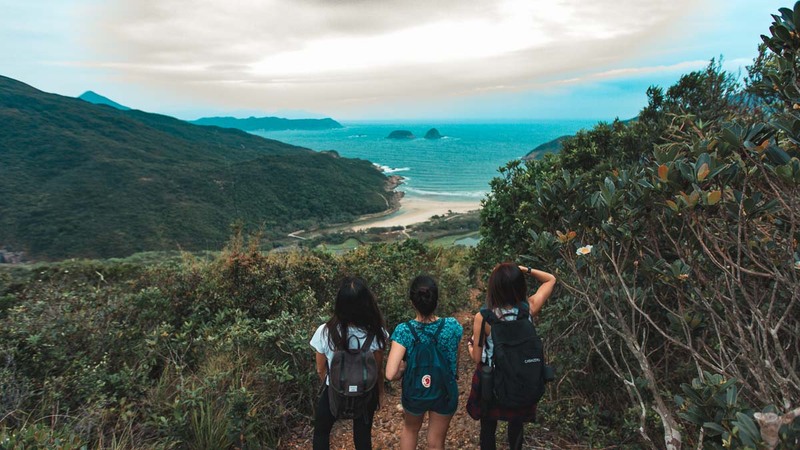 For the adventurous, the activities here are endless — surf, cycle, kayak, cliff jump or hike along the scenic coast of Sai Wan beach. End off your day with a sumptuous seafood dinner by the pier before returning to the city. 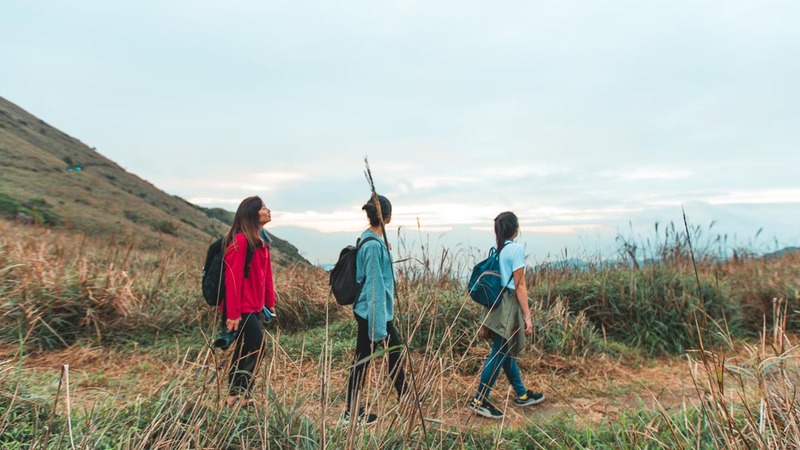 More details on planning your day trip here in our Sai Kung Guide. How to get there: At Choi Hung MTR station, head for Exit C2. Take the Green Mini Bus A1 to Sai Kung Pier (5 mins interval, 25 mins ride). Instant noodles doused in cheese sauce? 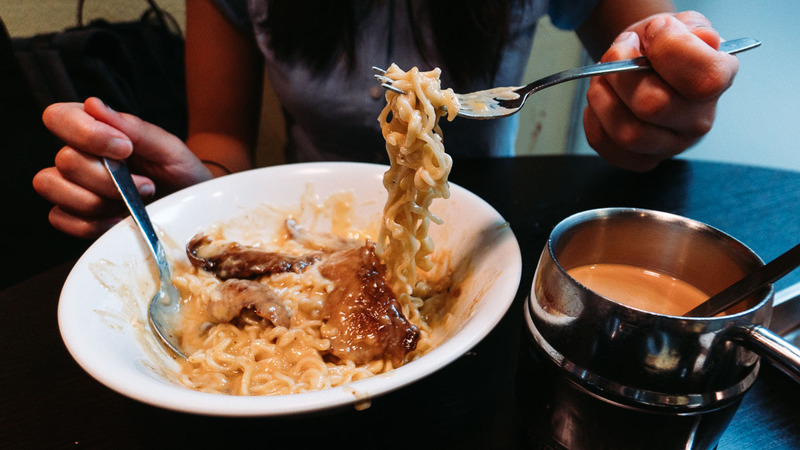 Yes, dreams do come true at Sun Kee Cheese Noodles. 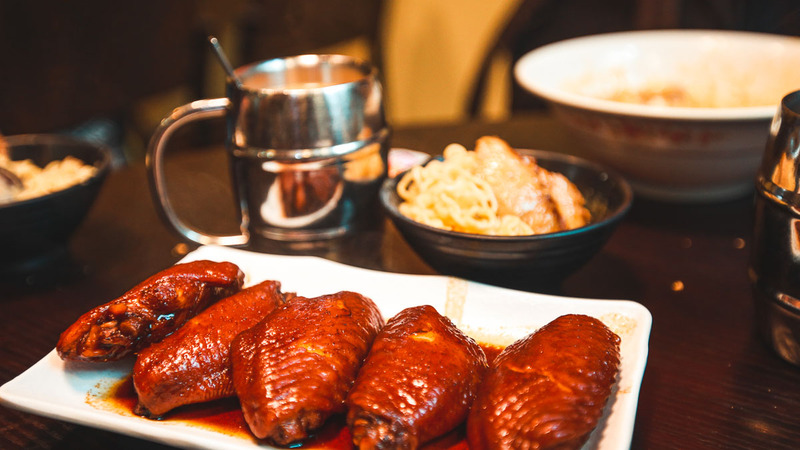 Besides the sinful Stirred Instant Noodle with Signature Cheese Sauce and Grilled Pork Neck Meat (HK$47), the Swiss Chicken Wings (HK$47) are also popular. With all the eating you’ll be doing, being behind the kitchen counter will be a refreshing change. 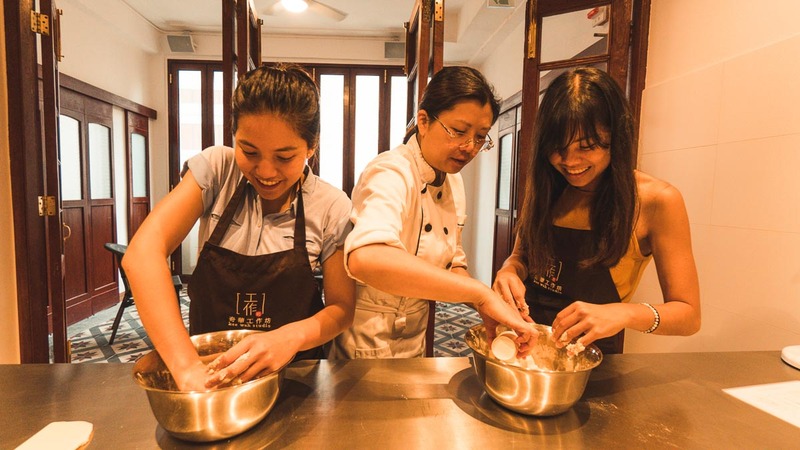 Have a go at making mini walnut cookies, or Winter Melon pastries. While waiting for our bakes in the oven, we were treated to egg tarts and homemade coffee/tea in-house! After class, you’ll walk out with your baked goods (~15 pieces), a copy of the recipe, and even a certificate. Class Timings: 11AM – 1PM. Selected Wednesdays only. Betting slips for the horse race! 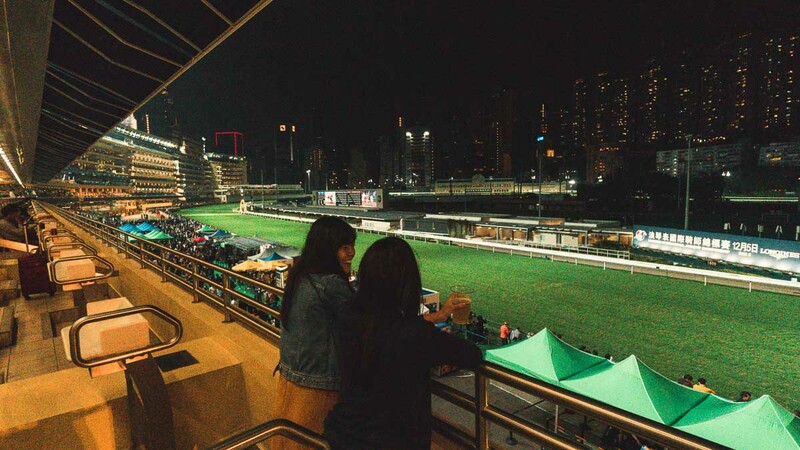 Probably the most unique experience we had in Hong Kong — a Pub Crawl, and Horse Racing tour. The night started at 7:30PM with a round of free shots with our friendly guides, before hopping on a local tram to the Happy Valley Race Course. At the race course, there was a pint of free beers too (woo! ), though the main draw is of course placing bets on your favourite horse. It’s free and easy time till 10:30PM when the last race ends, before everyone gathers for more bar-hopping (we went to two more bars). *Pro-tip: Head up to the second floor for better views/more seats! 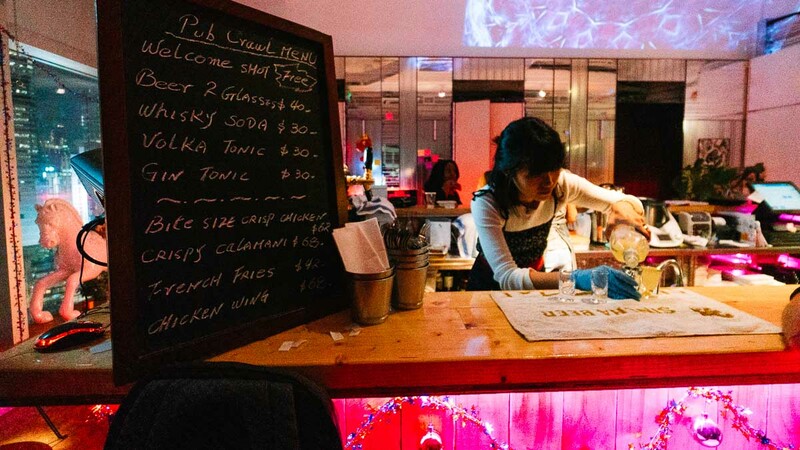 The pub crawl ends at ~12:30AM, but nothing’s stopping you from carrying on at Lan Kwai Fong, where the best nightlife spots are with over 90 bars and restaurants. P.S. Thursdays are Ladies’ Nights — free entry and drinks for the girls! But happy hour(s) run through the other nights in many bars too, including popular ones like Levels, The Optimist and Lily Bloom. After a night of fun, it’s the most shiok feeling to indulge in fresh seafood down at Under Bridge Spicy Crab. Plus, it closes late! 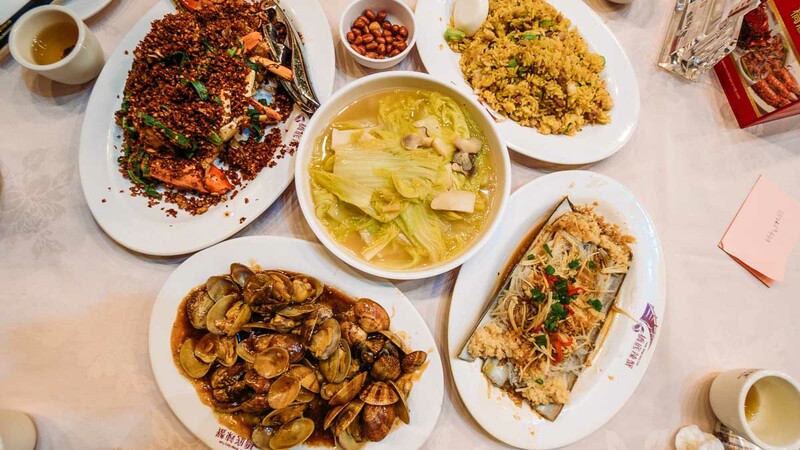 Our meal voucher (set for two) serves up fresh clams with chili and black beans, scallops with vermicelli and garlic, and their signature dish — fried crab covered in fragrant dried chilli and comes in five levels of spice. Despite being a set for two, the servings are quite big so it’s good for three or even four pax if you have small eaters. 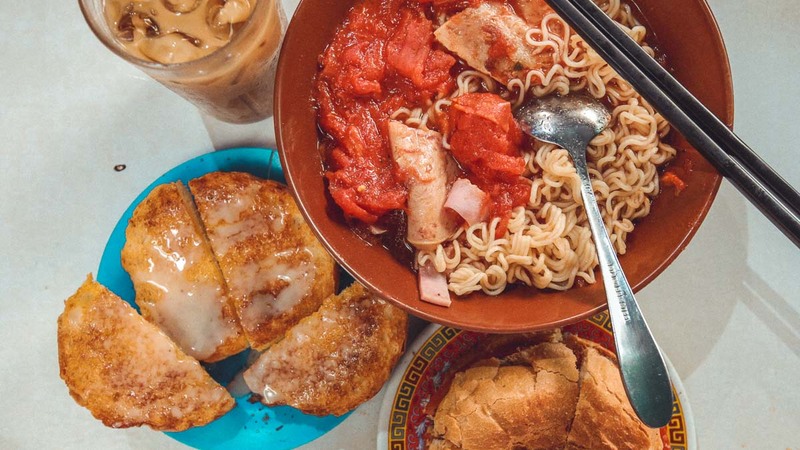 A dai pai dong situated opposite the famous beef noodle joint, Kau Kee Restaurant, Sing Heung Yuen‘s famous noodles in tomato soup is a great breakfast option. 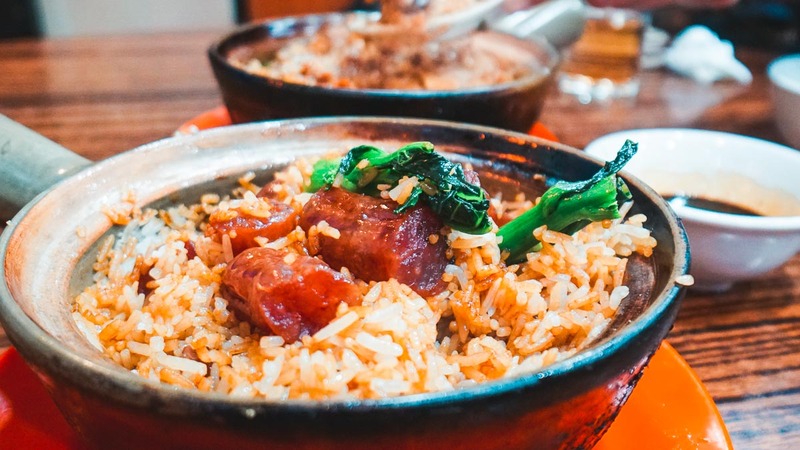 The menu comes with a good variety of toppings like bacon, ham, egg and just about anything you can think of on a regular cha chaan teng menu. Suicide Cliff Edge — for the daredevils! 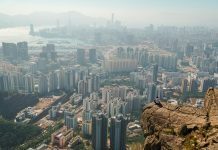 Of the famous few hiking routes in Kowloon we ultimately opted for Suicide Cliff that gives a clear bird’s eye view of the cityscape, and only required an hour hike to the viewpoint! Its notorious name stems from the accidents of travellers attempting to pose for a photo at the scenic cliff edge — the cliff edge is steep and is all rocks at the bottom so be extra careful if you’re checking that out! The hike ends about 15 minutes further up where you’ll spot a Helipad and TV station. To descend, take the paved path on the right after the Helipad. This leads you down to Fei Ngo Shan Road in around 30 minutes. Starting Point: From Choi Hung MTR, take bus 91 to Fei Ha Road. Walk 5 minutes to the starting point on Fei Ha Road. The entrance is on the right side of the path. 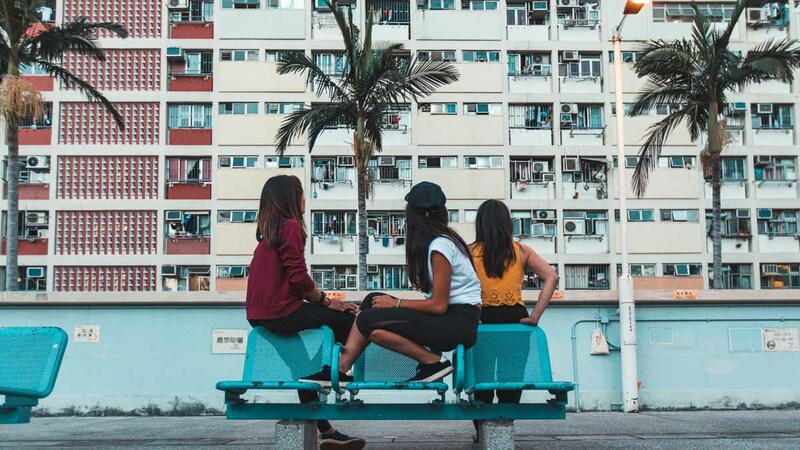 *Pro-tip: If you’re cabbing back to Choi Hung Station after the hike, make a pitstop to visit the Choi Hung Estate rooftop for a photo against the famous pastel-coloured buildings all over Instagram. 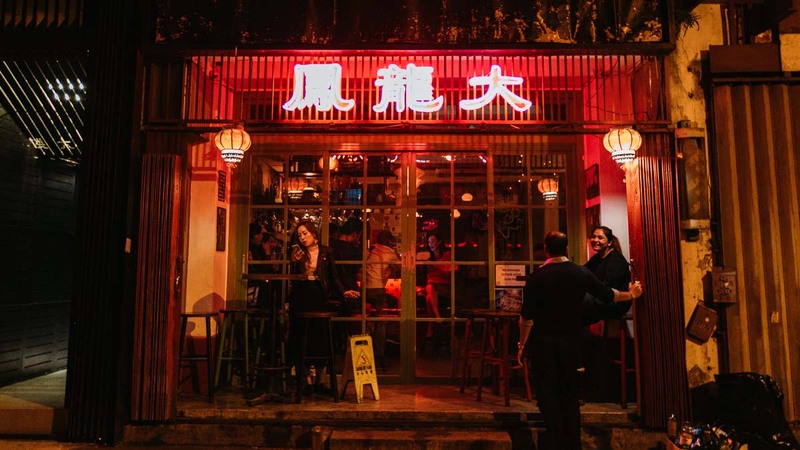 The cosy, neon-lit Tai Lung Fung boasts excellent service and serves bar bites like Duck Fat Fries and Mini Sliders before 9:30PM (you can bring your own snacks after). Their signature cocktails (try: Drew Berries) set you back only ~HK$60, while their beers at ~HK$50 during happy hour. If you’re feeling adventurous, tell them to surprise you with their own concoctions. The colourful buildings of Choi Hung Estate. 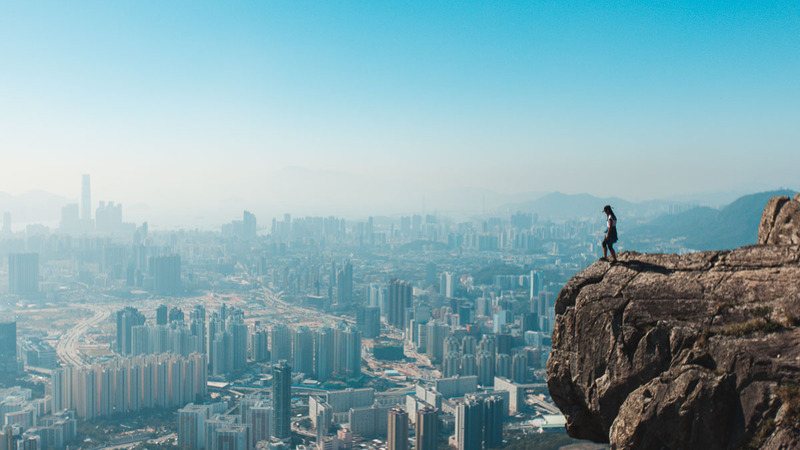 Hong Kong is definitely more than meets the eye. The usual attractions aside, we dug deep, asked a few locals and uncovered many experiences we never knew existed. We especially wouldn’t have discovered these without using the Klook app when planning our activities. 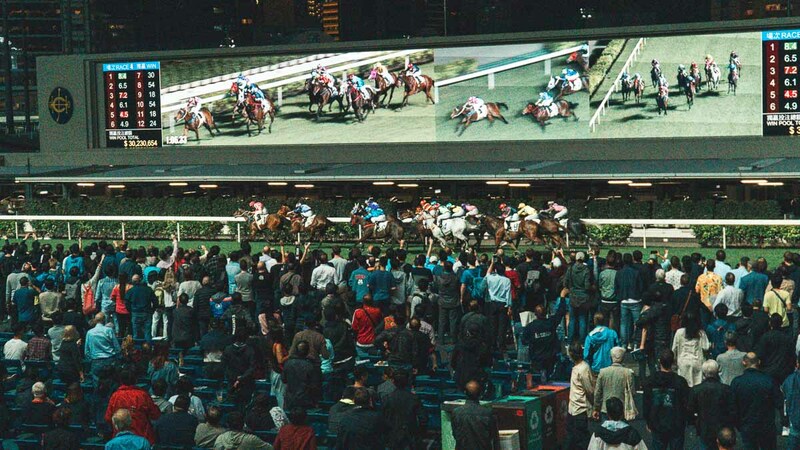 My personal favourite was attending the pub crawl and the horse racing event at Happy Valley — holding a beer while cheering for horse number five. Nicole looking pleased with the non-existent Klook Queue. Getting our pre-trip essentials was also hassle-free — we collected all our cards (SIM, Octopus, Airport Express) at one stop upon arrival at the airport. 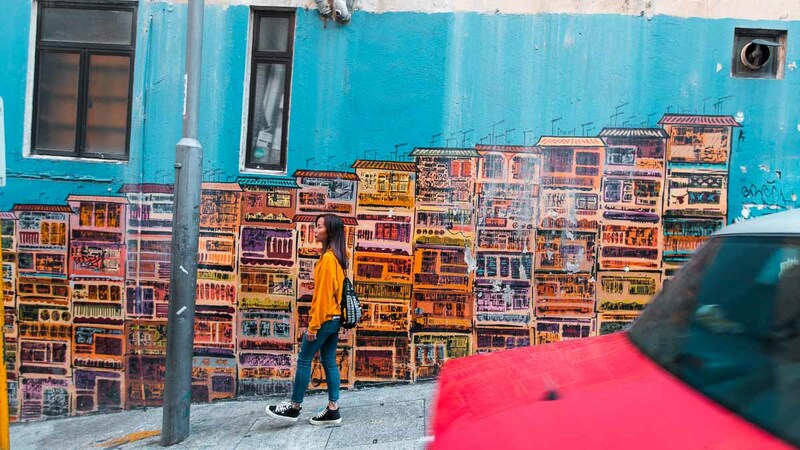 The best way to explore Hong Kong is to make full use of the extensive transport network to visit popular destinations, and mix it up with local treasures that tell you a better story of the city. Now we can say: been there, done that! 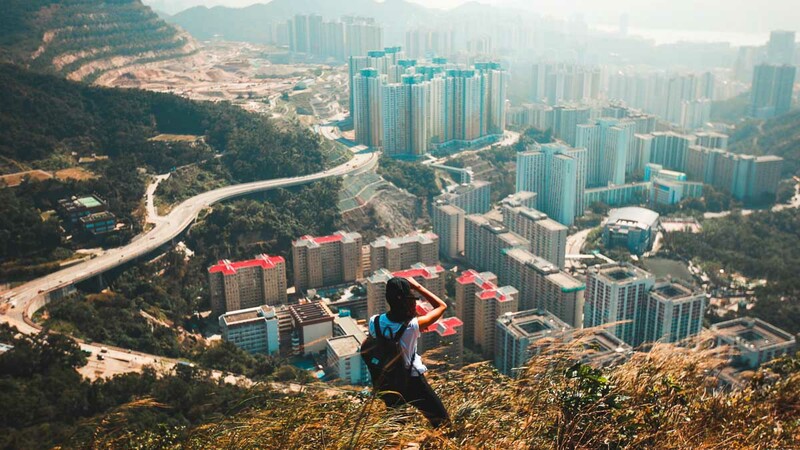 Would your next trip to Hong Kong be different? Let us know in the comments below!